This Magazine is For You. 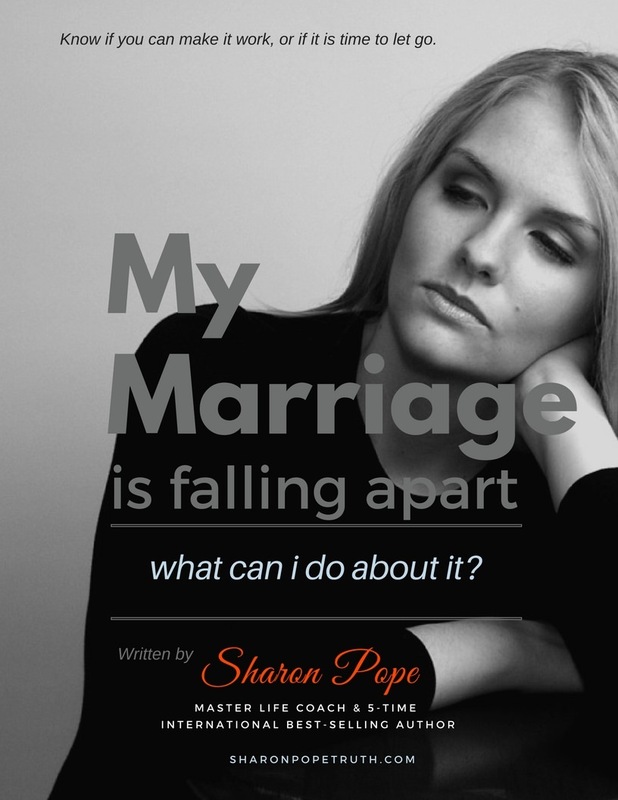 Whether you’ve been hearing your heart whisper that it’s time to look for answers about our marriage for some time now, or there’s been a recent event you feel is wake up call, it’s time for answers. For a limited time, I’m making copies of my newest 25 page online magazine “My Marriage is Falling Apart: What Can I Do About It?” available for free. If you’re wondering whether it’s time to lovingly release your marriage or work on healing it, this free magazine is for you. Filled with insights and soulful guidance, it will help you navigate this difficult time, gain clarity about your situation, and know you’re not alone. My new magazine will guide you to look inside for answers to the questions that keep whispering to you, and help you get the clarity you need to move forward with your life.